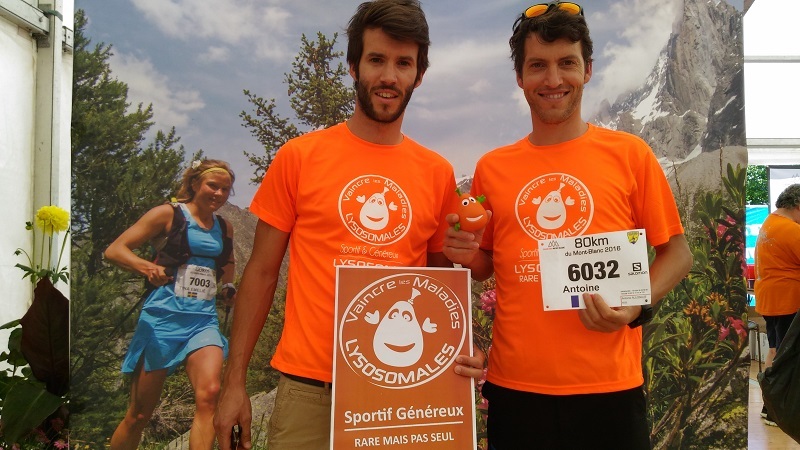 Run for rare diseases with the French association Lysosome - Vaincre les Maladies Lysosomales. For the 6th consecutive year, some fifty runners will take the start of the Marathon du Mont-Blanc events to support our action. €150,000 have already been raised thanks to supporters of the solidarity bibs. Lysosomal diseases are 53 rare genetic diseases mainly affecting children. They lead to important physical and neurological disabilities. Since 1990, the organisation VML helps families and finances the International Scientific Research. Sorry but the pre-booking and collection platform is in French. The attached guide can help you get involved. 1/ Register you to pre-reserve your Bib and pay the 20 € registration fees … You receive an email of confirmation. Your bib is pre-booking and you have until March 01th, 2019 to mobilize your supporters on your fundraising page. 2/ Launch your fundraising page, mobilize your supporters and collect a maximum donation until the departure of the race. Click-on "Lancer ma collecte"
3/ When the minimum amount is reached (before March 01th, 2019), your bib is officially validated. We shall give you a procedure to finalize the registration (with medical certificate) on marathon website.